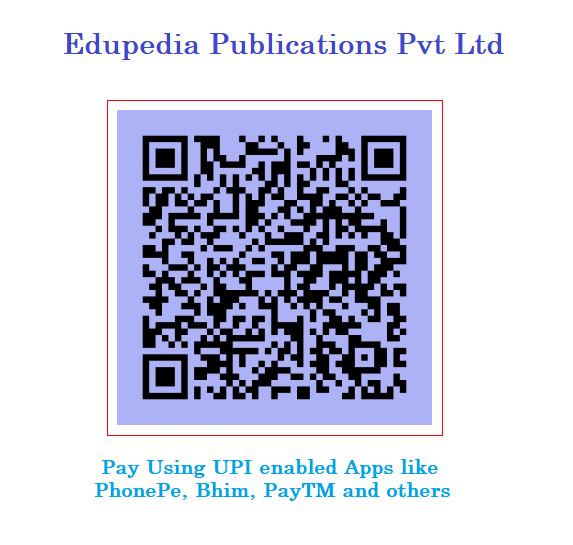 Edupedia Publications Pvt Ltd tries to ensure that our content and information is as accurate as possible. However, we cannot guarantee that the books themselves, nor any of the content or other materials provided on our website are accurate, complete or guaranteed regarding warranties, conditions of satisfactory quality and appropriateness for certain purposes. We reserve the right to monitor the use of the site in accordance with any particular law so as to protect the rights of other users and maintain the website.